The F-16 has been around a long time and there are so many different schemes you can build one in. 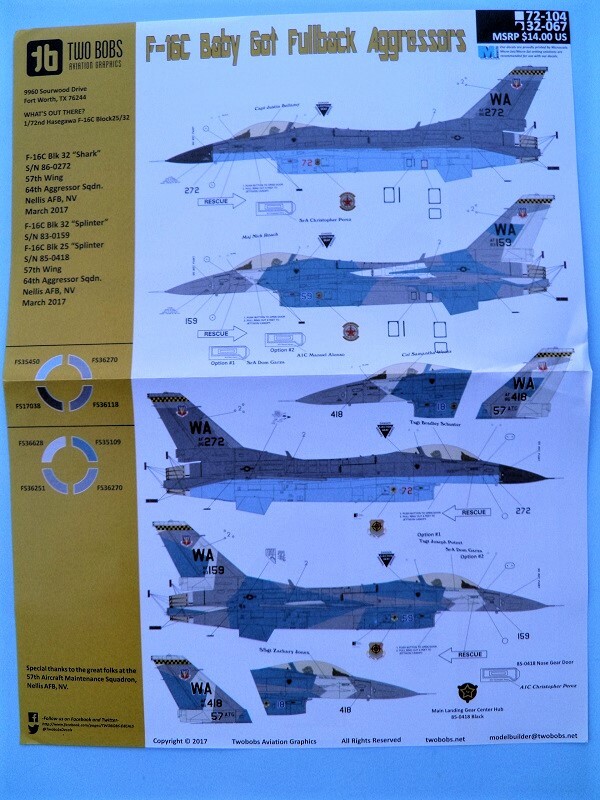 This new sheet by Two Bobs covers 3 aircraft in a couple of Aggressor schemes with the 57th Wing, 64th Aggressor Squadron. 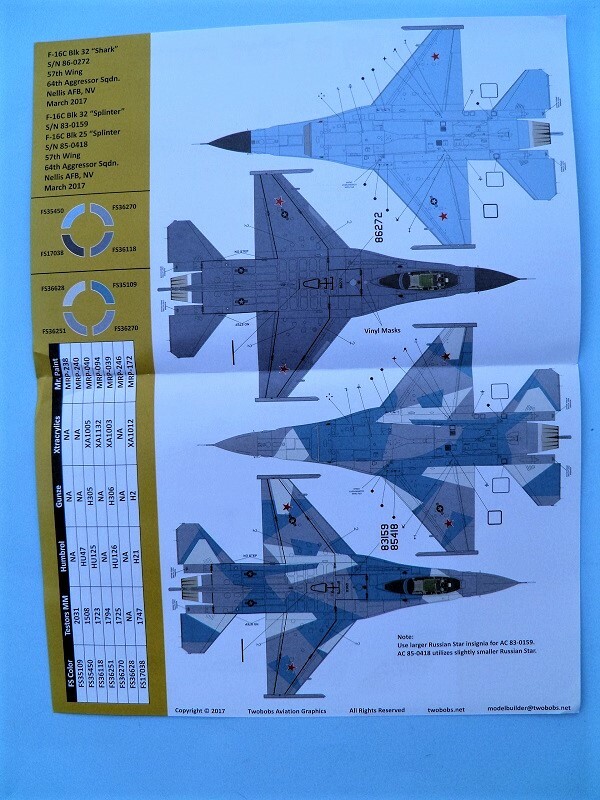 The first is in the "Shark" scheme and includes some vinyl masks for the false dielectic EW panels to mimic what is on the SU-34. This thoughtful inclusion will make masking those very easy. The other two aircraft both wear the attractive "Splinter" scheme. There are a couple of minor differences in the markings between the two aircraft and these are spelled out nicely in the full color instructions. 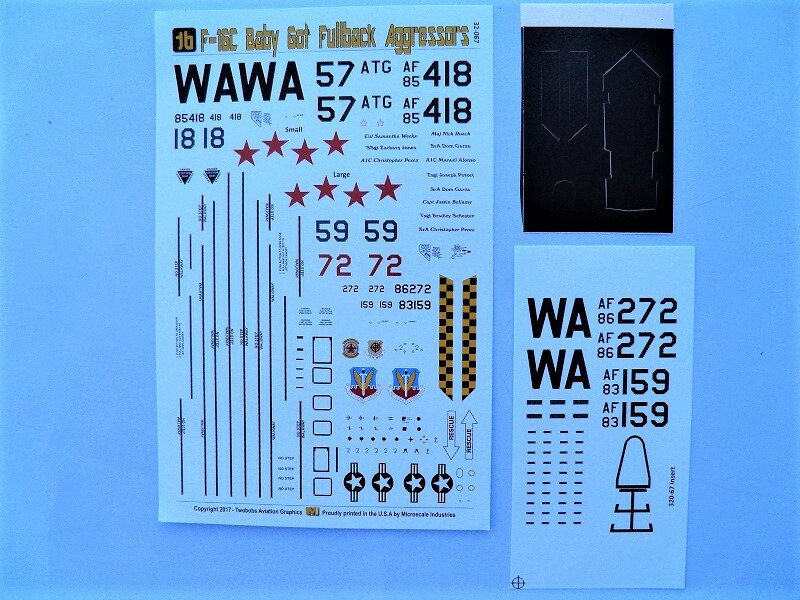 Two Bobs website recommends either the Academy or Tamiya F-16C kits but does say they are sized for the Tamiya kit. FS colors are included for each scheme so you can pick your favorite paint and create a great model. There are also some stencils included. Thanks to Two Bobs and IPMS/USA for the review kit.